This is one of the first four webpages that we posted to our original domain when we had a very primitive site on AOL in June 2000. Over the first eight years of our research project, pre-World Wide Web, we had addressed many different groups, including schools, rest homes and clubs, and many of the questions below are the ones most often asked. Others are ones that we were curious about and we hoped that readers could help us discover the answers. Thanks to many of you, we did receive answers, or at least hints, and some of you pointed us in the right direction so that we at least knew where to look. If you are a student, pay attention because we might ask them at our next lecture seminar at your school. Who was the "stumphouse man" or "the little man" who lived near Northern State Hospital? Answer:: His name was Pete Bielecki and he was one of the most beloved of the eccentric local characters when my father went to work at Northern State Hospital in 1953. See this Journal website for the whole story and his photo with the stump. 1. What business in Sedro-Woolley is the oldest continuously operated business in the county? Answer: Holland Drugs. This is one we have to answer by inferring from contextual information we have discovered over the years. We cannot provide all the details, first because there was no newspaper in the very earliest days, and second because the first newspaper in Sedro, the Sedro Pressand the Skagit County Times that followed experienced fires and the volumes burned decades ago. But we do know that an earlier incarnation of Holland Drugs started in old-Sedro by the river, probably with "Doc" A.A. Tozer as the sole owner. He soon took on a partner, young Albert E. Holland from Pennsylvania. Holland was just 17 when he arrived on a steamboat at Mortimer Cook's original general store in old Sedro in July 1886 and literally walked into a job as Cook's clerk. Holland proved quite capable and a whiz at business, and sometime in 1887, he started the gravity-powered, toll-ferry across the Skagit to the lakes area to the south, three years before Clear Lake was ever born as a village. The county took over the ferry three years later and it was finally replaced by the 3rd Street bridge in 1912. Tozer probably started the drug store with a stone's throw of Cook's store in about 1889. Sometime in the next three years, he decided to move to Snohomish county and open another store along with managing a considerable amount of timberland he had bought. A.E. 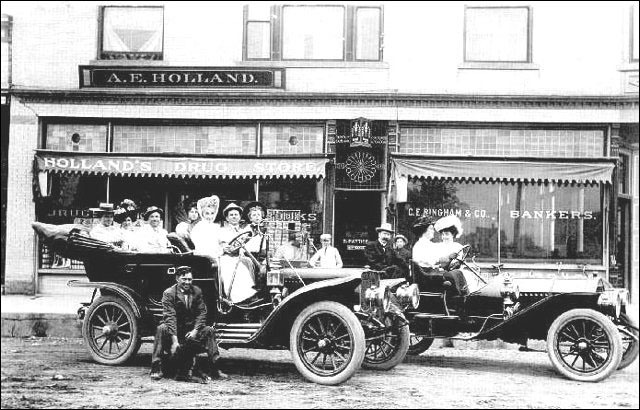 Holland renamed the store Holland Drugs in about 1892 when he and banker Charlie Bingham moved their businesses to Norman E. Kelley's competing town of new Sedro. They shared a woodframe building in what was called the Pioneer Block on the southwest corner of the lots where Sedro-Woolley High School stands today. In 1895, Bingham and Holland again moved their businesses to old Woolley, sharing a woodframe building with banker at the northwest corner of Metcalfe and Woodworth streets. The present stone Bingham Bank building, restored over the past decade, was built to replace it in 1905 and survived a 1909 fire that gutted the inside. When Jerry Willins decided to celebrate the centennial of his Holland Drugs business in the early 1990s, we thought 1894 was the year it opened, so that is why that year was celebrated. 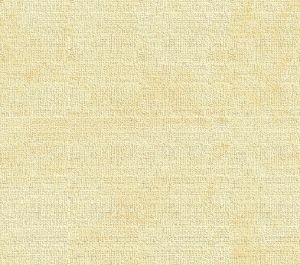 Read Holland's entire story at this Journal website, including the story we discovered about Holland's deathbed marriage in 1923. Was Sedro-Woolley ever named Woolley-Bug? Answer: Too bad it wasn't, but Mortimer Cook did name his settlement, Bug, in 1884. Most of the low land north of the river was a swamp back then and the mosquitoes were the size of small bats. The ladies of the small community of 20 or so implored him to change the name. Cedra is the Spanish word for cedar and Cook changed the C to S and the A to O. Read the full story at this Journal website, including the story that historian Deanna Ammons recently found, which pegs the time in 1885 when the name was changed to Sedro. Answer: Trick question. See question and answer above. What were the three major "First in the county" distinctions for Sedro-Woolley businesses? Answer: A. First bowling alley, 1898 or 1899 where the Old Timers Tavern is now on State St.
B. First laundromat with rented wash tubs in 1899 at the Sedro-Woolley Steam Laundry on the north side of the lots where the Bank of America [originally Bingham Bank] now stands on Ferry. C. First gravity flush-toilet in a public building in November 1890 at the famous Hotel Sedro on 3rd street where the high school gym now stands. It partially burned in 1895 and burned to the ground in 1897. It was replaced by the Carnegie Library in 1915 and the high school gym in 1964. 4. What was the first automobile in Sedro-Woolley? Answer: A. First car to appear in town: April 1906, P.S. Cook brought his Mitchell to town, gave banker C.E. Bingham the first ride and gave free rides to all who were brave enough. B. First to buy a car: Sept. 13, 1906. Homer H. Shrewsbury buys a Mitchell, 20 hp, 4-cyl. Started from Seattle 7 a.m., arrived here 7 p.m. The roads were almost all mud or gravel between. Horace Condy, Eugene Foster & H. L. McCoy rode with him. In subsequent research, we found a December 1909 copy of The Coast magazine, which explains that Pine street developed as the street of automobiles in Seattle, so the earliest autos here would have been bought at any of the dozen or so dealers that located there from 1905-09. This was the first photo we posted with this story. We wondered then about the model of the auto and when the photo was taken. Our answer came from the late Wyman Hammer, one of our earliest patrons and the man who donated two of the lots for the new Hammer Heritage Square downtown park. This is Dr. Menzo B. Mattice's new 1909 Winton 6 automobile parked (at left) in front of the Bingham-Holland building in old Woolley. Mattice originally had his office in the old Pioneer block in new Sedro, which was built by Bingham and Holland. The folks in the two autos were: (l. to r.) Mrs. Susie Alverson (owner of music store); Mrs. M. Schneider (husband owned building where bowling alley is today); A.E. Holland, the druggist; Miss Beckie Schneider; Mrs. P.A. Woolley (at the wheel, note it was on the right); auto dealer Mr. Lowe; Charles Harbaugh Jr. (young boy, Mrs. Woolley's grandson); two boys against building unfortunately not identified; Mr. Campbell (chauffeur with Lowe's company, sitting on running board, sported folks around town for a week or two as part of package); car on right side, Junius B. Alexander; Mrs. Florence Morgan (husband owned water company); Mrs. C.C. Harbaugh (Kate, the Woolleys' daughter. Great hats, huh? Photo supplied by the late Wyman Hammer. What was the first auto dealer in Sedro-Woolley? Answer: L.H. Livermore built his Livermore garage in 1915 where Oliver-Hammer Clothes Shop now stands on Metcalf. Brothers-in-law Len Livermore and Dale Tresner bought the Sedro-Woolley Harness & Saddlery from the Benjamin Donnelly estate in 1905 and continued that business north on Metcalf in the Donovan building until about 1910. That building at the southeast corner of Ferry and Metcalf streets burned in the July 23, 1911, fire that leveled much of the downtown area. Sometime in 1910-11, Livermore began selling Model-T Fords out of a garage on State street, located where the east half of Marketplace Foods now stands, and by February 1911 he was selling a train-carload at a time. When he built the Livermore Apartments at the northwest corner of Metcalf and State streets in 1912 (which still stands), he expanded into part of the ground floor of that building. In 1915, he tore down several woodframe buildings to erect his dealership on the east side of the 800 block of Metcalf. See the hump on the floor in front of the Oliver-Hammer counter, which covers the original elevator that raised model T's to the second floor where they were originally repaired. Emil Jech continued the Ford business as Universal Motors in 1922, and two years later the building on Murdock that now houses the Sedro-Woolley Museum. Sig Berglund bought that business in 1944 and in 1949 he built the complex on West Ferry street that continued for decades Vern Sims Ford Ranch. In April 2003, it became North Cascade Ford. What was the first complete railroad line north of Seattle? Answer: The Fairhaven & Southern railroad was built by Nelson Bennett from old-Sedro by the river to Fairhaven, 26 miles. The first train arrived in old Sedro on Christmas-eve 1889, a month after Washington became a state. The streets north and south of the high school are Nelson and Bennett. Read two stories about the father of the F&S, Nelson Bennett, and here here. What was the first auto in the county? Answer: The first cars, bought in Mount Vernon and LaConner from 1904 on, were battery powered Cadillacs & had no windshield or top. The first three owners were: Peter Downey, Nick Bessner, J.O. Rudene, according to Rudene before he died. This information is from the historical records of the late historian Profile of the late John Flood Conrad. He was so named because he was born on the LaConner Flats during the terrific flood of 1894. He later owned the service station at the corner of Collins Road and Hwy. 20 west of Woolley, which was flattened during the wreck of a car and truck in 1965. Did an elephant ever tear up Sedro-Woolley? Answer: Tusko, the heaviest elephant in captivity, ran amuck on May 15, 1922, when the Al G. Barnes Circus set up a show at the spot that is now the high school football field. He was finally caught in a gravel pit near the F&S Grade Rd., two miles northwest of town, after tearing up a chicken coop, flattening model T's and trying to enter the back door of the B&A Buffet, a Prohibition speakeasy at the corner of Metcalf and State. The New York Herald ran a two-page special feature on Tusko in June that year. He was originally a very big toy for the children of the King of Siam. A few years ago, the Journal negotiated with the author of an upcoming book and the son of one of Tusko's trainers to obtain a copy of a movie about Tusko in his later life when he was used as a battering ram in an advertisement for a house wrecker. We convinced the State of Washington archives to convert the film from very flammable nitrate to VHS format. A copy of that movie can now be seen at the Sedro-Woolley Museum. 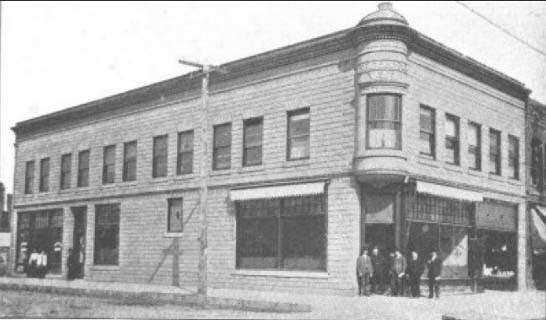 What Sedro-Woolley bank started in a former brothel and was the only Northwest bank to survive both great Depressions of 1893 and 1929? Answer: Bingham Bank. Begun by C.E. Bingham and a partner, J.M. Holbook, in old Sedro on July 30, 1890, it moved to new-Sedro in 1892 and old-Woolley in 1895. The original bank was on the lower floor of the former Clarendon Hotel, just east of the F&S Railway depot. The Clarendon also served as a brothel the year before for the F&S construction workers. Under C.E. and his three sons, the bank survived both depressions and depositors never staged a run on the bank nor did they lose their deposits. The Bingham Bank and Holland Drugs moved to old Woolley in 1895, sharing a woodframe building at the northwest corner of Metcalf and Woodworth. The present stone Bingham Bank building was built to replace it in 1905 and survived a 1909 fire that gutted the inside. Read the six-part story. What was the first movie theatre in Sedro-Woolley? Answer: Frank Hemingway's Globe theatre with a nickelodeon in the back of W.B. Pigg's store in 1905 on Metcalf just north of where the Schooner tavern now stands. That was followed by the Hazel [State street] and the Princess [still standing on Metcalf street — now Cascade Fabrics], then the Dream Theater, built in 1913 by Ben Abbott. At first, there were vaudeville shows on the stage, along with silent movies and music from a massive organ set into the floor. Then, when "Talkies" appeared in the late 1920s, Dad Abbott invested in one of the most advanced sound systems north of Seattle. Through the 1950s, the Dream was a big ticket hereabouts, but first the automobile and the drive-in did it in, then television knocked it to the canvas, and finally the building was torn down for the NBofC bank. Torn down in 1965, the Dream was located where U.S. Bank now stands on the north side of Woodworth street, just two years after the Carnegie library was also torn down. Many people, including me, are still in mourning.. It was one of the glorious buildings of my childhood. While Dad Abbott was still alive, it stood as sort of a monument to his son Ben and his wife, who both died during the terrible 1918 nationwide influenza outbreak. When did the Loggerodeo begin in Sedro-Woolley? Answer: Trick question. The Loggerodeo was named by historian John Flood Conrad in 1948 as part of an American Legion contest. That year the Legion and the Sedro-Woolley Riding Club joined forces to combine logging and rodeo exhibitions. The 4th of July has been celebrated with gala parties on the Skagit river since: downriver, when Mount Vernon was launched in 1877; and upriver, in 1880 when Ruby Creek gold miners put on a party. The first 4th picnic here in town was in 1886 in old-Sedro by the river. The new towns of Sedro and Woolley both competed with flag raisings in 1890. There has been an annual celebration here continuously since 1934 and that is the year that the Loggerodeo Committee uses as the beginning. Read the two-part Journal story. What Sedro-Woolley businessman helped capture Jefferson Davis, the Confederate president, in 1865? Answer: Arthur C. Seidell was a member of the Union squad of the 3rd Ohio Cavalry regiment who helped captured Davis near Macon Georgia after the end of Civil War in 1865. Born in 1843, he moved to Woolley around 1898. In 1905 he built the Seidell Building at the northwest corner of Metcalf and Ferry to house the First National Bank. It burned to the ground in December 1949, 16 years after he died here. That spot was later occupied by a Chevron station and was converted in 2005 to the beautiful Hammer Heritage Square downtown park. Read about the Hammer family who inspired it here and here. Thanks especially to the late Wyman Hammer, who donated two of the lots for the park. The Seidell Building, at the northwest corner of Ferry and Metcalf streets, built in 1905. From a postcard of the era. Who was the Duke of Duke's Hill? Answer:"Duke" Frederick George, born in 1873 in Bavaria, Germany and died Feb. 5, 1907, at the St. Elizabeth's county hospital on Township street in Sedro-Woolley. He was actually not an aristocrat but was so-named affectionately by his neighbors around Bottomless Lake on what became known as Duke's Hill after his death. His diet was largely restricted to Scotch and milk and champagne. He had a Japanese houseboy who drove him to town for liquor and supplies in a horse and buggy. Again, this was a story that was fleshed out by readers. Was there ever a distillery in Sedro-Woolley? Answer: About 1895-97, the Kiens brothers, Fred and John, immigrant homesteaders from Germany, built a liquor distillery in their old blasting cap factory about where Brickyard Creek development is now. They supplied the local saloons. Frederick Kiens also had a gold mine on the hill that is just north of that area. We are preparing a profile of Frederick and John Kiens for the future. What was the Whoopey Noodle? Answer: It was originally a Chinese restaurant, or "noodle house" in a building that stood just north of where the Schooner Tavern is now in the 600 block of Metcalf. Legend tells that it became a hush-hush brothel back in the wild and woolly days of old Woolley around the turn of the century, but that is a myth unsupported by any evidence. By the time of the Great Depression it probably doubled as a conduit for illegal booze from bootleggers who set up shop in the Wixson Hotel, now the Gateway. What year were the towns of Sedro and Woolley incorporated? Answer: A. Sedro, 1891: March 4, Sedro incorporated as a city of the Fourth Class (same day as Hamilton incorporated). George Hopp, first mayor. B. Woolley, 1891: May 11, Woolley incorporated as city of the Fourth Class. William Murdock was the first mayor. The street named after him now houses the Sedro-Woolley museum in the old Jech Universal Motors (Ford) garage, which opened in November 24 and later housed Sig Bergman's Ford dealership. They were the predecessor of the present Vern Sims Ford Ranch. Does anyone have a photo of this old garage before it become Tradewell Market? C. The towns were merged on Dec. 19, 1898, with a hyphen between the names. Also see the Timeline of early Sedro and Woolley. What is the longest continuously operated grocery in the county (in the same location)? Answer: Make that "was." The Central Grocery in Sedro-Woolley was built in 1917 by Hi Hammer to serve the area surrounding Central School. It closed in 2003.
Who were the four bachelors who homesteaded what eventually became Sedro-Woolley? Answer:Again, that is a tricky question to answer. In May 1878, David Batey and Joseph Hart — childhood friends from England, took a steamboat from San Francisco to Seattle, where they boarded another steamboat to LaConner. They poled and paddled upriver, eventually choosing the area from about Sterling to the western part of old Sedro for their homesteads. Two other bachelors from England and Ireland joined them that fall: William Dunlop and William Woods. We say "tricky," because some also include the German immigrants, Henry Holtcamp and John and Fred Kiens, in that bachelor grouping. They certainly were bachelors and they certainly did settle in the area north of present Hwy 20 in roughly 1878. But they settled on land that was outside the original towns of Sedro and Woolley. Read the exclusive Journal story of the Four British bachelors. Answer:Who was that man? I'd like to shake his hand. Hey, we've been asking that question since we used to put nickels in the jukeboxes that were attached to the booth tables at the Dairy Bar on Third street. You have to be a certain age to remember that place. Actually, there were two: Barry Mann and Gerry Goffin. In the bop she bop she bop? Links, background reading and sources Do you have questions that you would like us or some actual expert to answer? Email us. The only proviso is that, if determining the answer is like recreating the wheel, we cannot take that amount of time for this section. For questions like that, we have a research program that you can read about. Otherwise, we will try our best to answer more simple questions that mystify many readers. Until we found the Dec. 5, 1891, issue of the Skagit County Times from old Woolley, we did not know there was an attempt to consolidate Sedro and Woolley in 1891. Read the full story and the Woolley city attorney's opinion that shot down the idea for seven years. Jessie Odlin's 1898 poem about the merger of Sedro and Woolley. Our updated story with a passel of connections to Ivar's Acre of Clams, The Old Settler poem of 1870 and the much beloved song, Old Rosin, the Beau.